They are at it again! Our ladies are preparing authentic, hand-made pastries for your Paschal celebration! 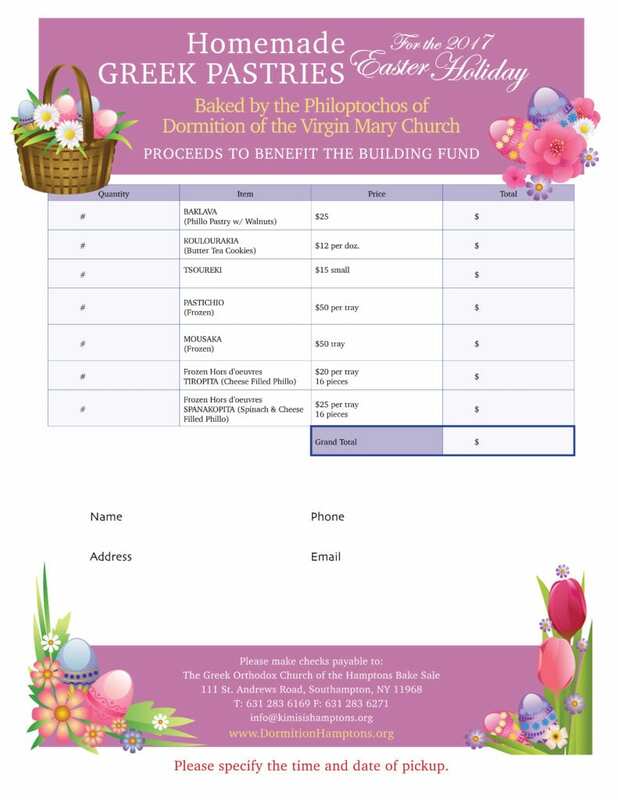 Use the order form here, visit the Bakaliko, or call the Church office at 631 283 6169 to order yours! All proceeds support the educational and philanthropic ministries of our Church!